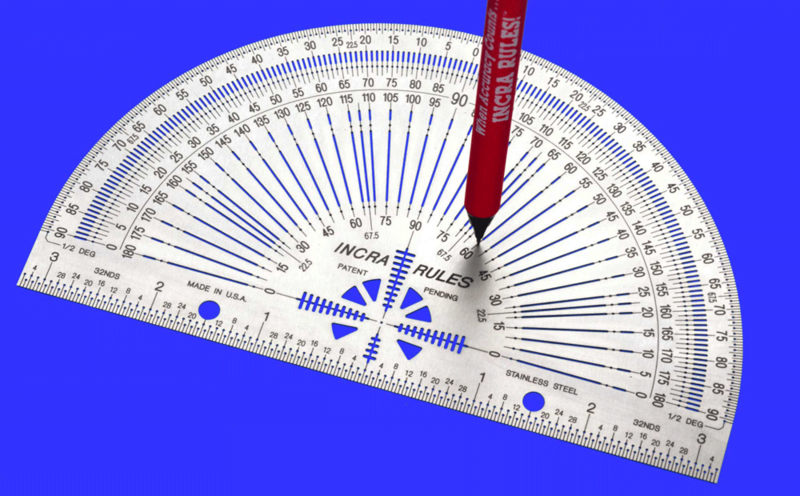 INCRA Precision Specialty Rules make it very easy to draw exact lines. 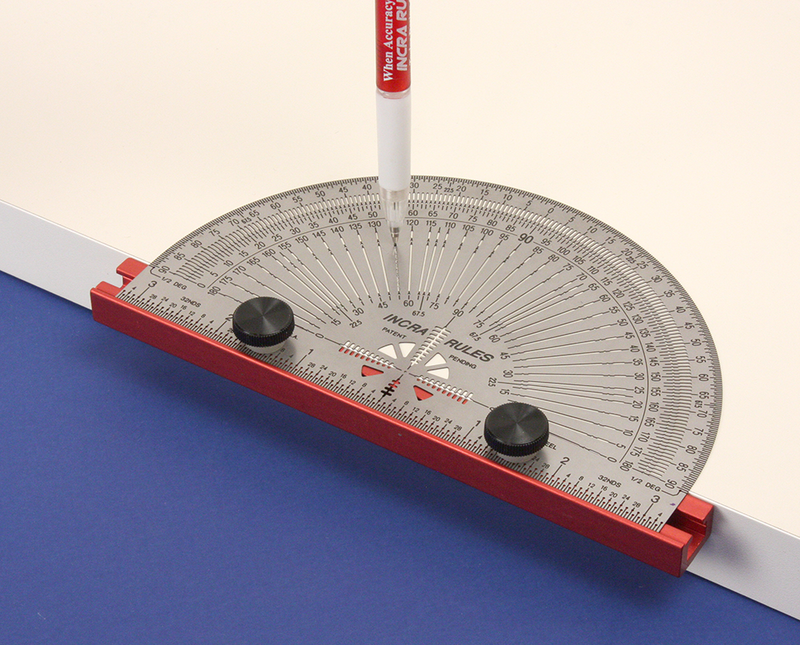 We've reinvented the protractor by putting extra long guide slots at every 45 degrees, 30 degrees, 22.5 degrees, 5 degrees, 1 degree and 0.5 degree interval to plot any angle with ease and absolute accuracy. If you take a few seconds to remove the T-bar you will also have an excellent 6" rule with micro-fine marking holes at every 1/32". Also available in metric (300mm)version. Locate and mark the intersecting point of two perpendicular lines ... all in one quick easy step. 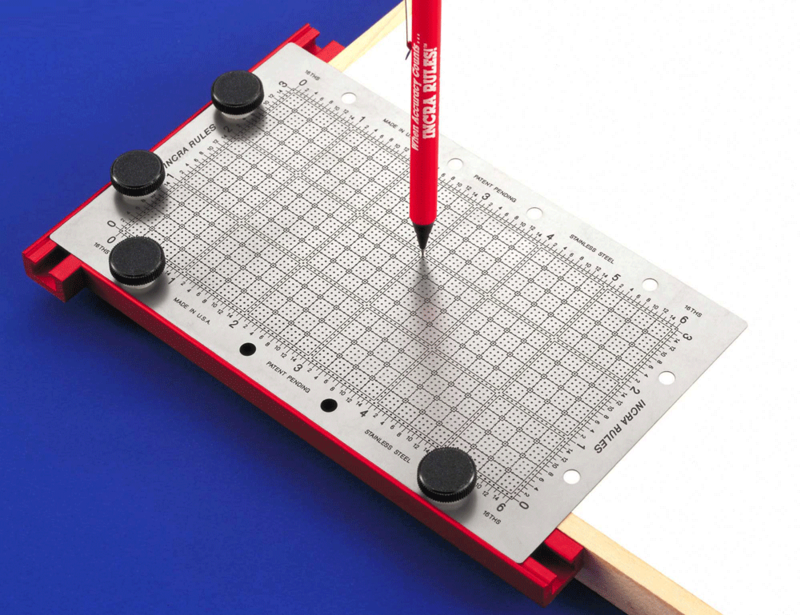 This 6 inch by 3 inch Rule with micro-fine marking holes at every 1/16" gives you 4,608 different exact positions instantly located with your sharp pencil or scribe with zero uncertainty and no eye strain! It also features referrence lines every 1/4 inch and double reference lines at each full inch. 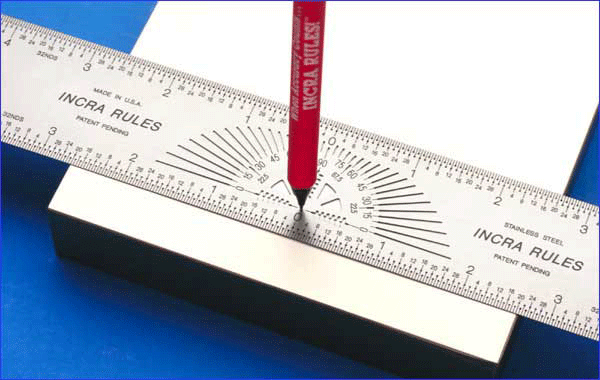 Shown here with the T-Bar removed, the Protractor Rule also feature 6 inches of micro-fine marking holes at every 1/32". 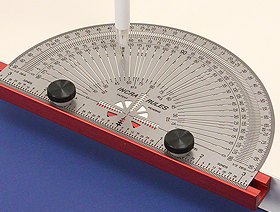 Our 12" Centering Rule also offers protractor guide slots and precision marking holes at every 1/32" for the length of the rule. 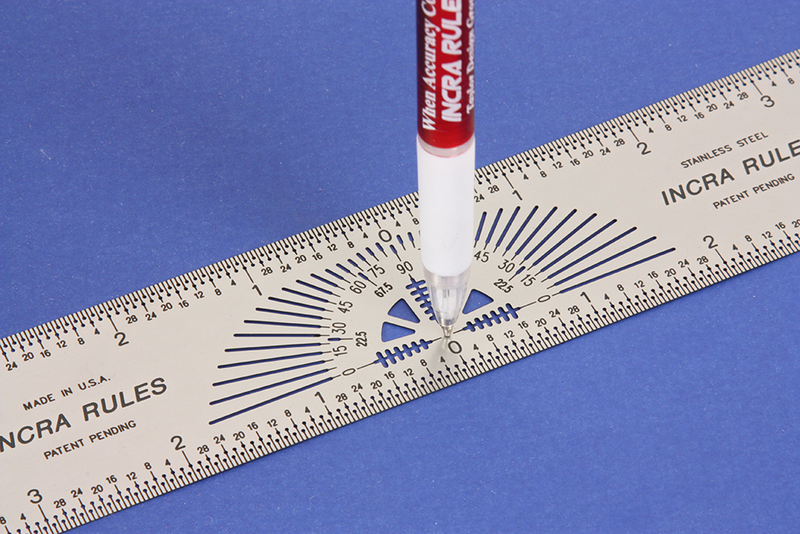 The X-Y Rule not only has micro-fine guide holes at every 1/16", it also has reference lines at every 1/4" and double reference lines at every full inch. Finding your exact desired marking hole is an error free snap. 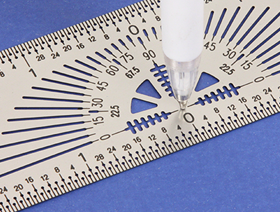 Click to download INCRA Precision Protractor in Windows Media format. Click to download INCRA Precision Centering Rule in Windows Media format. Click to download 6" x 3" Precision X-Y Marker in Windows Media format.